The Columbus Destroyers announced on Monday that the team will hold tryouts on Saturday, March 23rd at Bo Jackson’s Elite Sports in Hilliard, Ohio. Registration will begin at 7:30 am with tryouts to take place from 9:00 am – 1:00 pm. The entry fee for Saturday’s tryouts is $100 for pre-registration online and $150 cash only for payments on the day of the tryout. Workouts for kickers will take place from 8:00 am – 9:00 am with registration taking place from 7:00 am – 7:30 am. All participants will receive an official Destroyers tryout t-shirt and can register now by clicking HERE. Drills will be led by Destroyers Head Coach Matthew Sauk, Defensive Coordinator/Line Coach Clay Harrell and Defensive Backs Coach/Special Teams Coordinator Stanley Franks. The tryouts will feature traditional combine testing drills that include the 40-yard dash, short shuttle, broad jump and the L drill. Participants will also be placed into groups and position-specific drills. Those who register must wear comfortable athletic shorts and a t-shirt. The tryout surface will be field turf, so turf shoes or molded bottom cleats are required. No track spikes will be permitted. Cost: $100 Online Early Entry – CLICK HERE or $150 Cash ONLY payment on the day of the tryout. 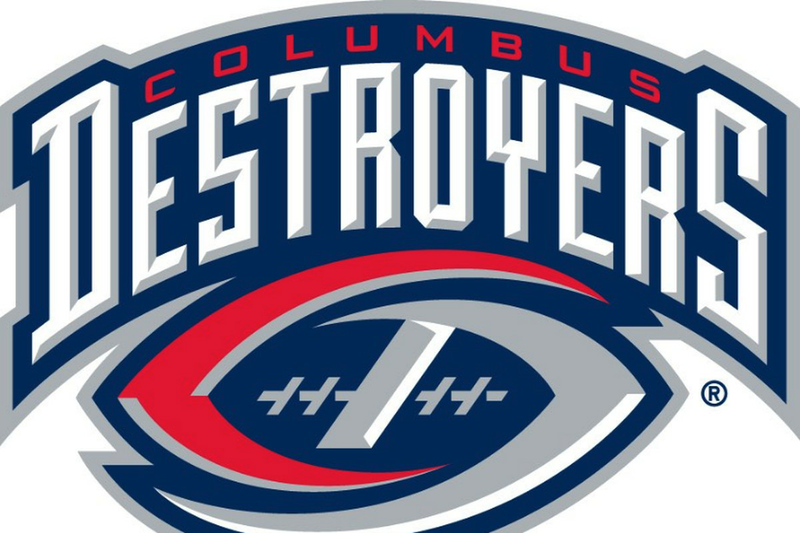 The Columbus Destroyers are members of the Arena Football League (AFL) and make their return to Nationwide Arena this spring! Interested in season tickets? Visit ColumbusDestroyers.com for more information and place your $25 deposit today! For partnership opportunities, please click HERE. Be sure to follow the Destroyers on Twitter @AFLDestroyers, on Facebook at www.facebook.com/AFLDestroyers, and on Instagram @AFLDestroyers.